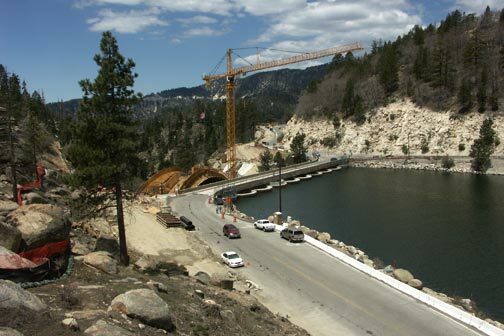 Construction on a new bridge that will replace the old existing bridge across the top of Big Bear’s multi arch dam as the main artery into Big Bear began in April 2009. 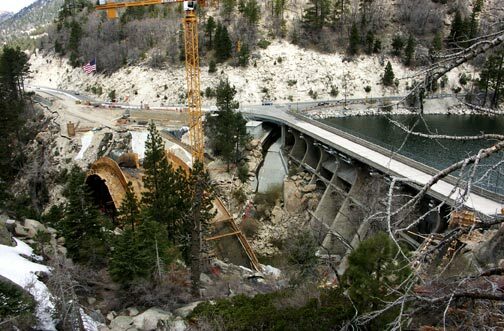 This new bridge will completely bypass the old bridge and the dam. 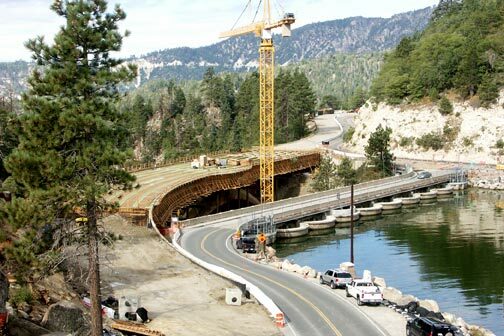 It is estimated that it will take Caltrans another year to complete this project. 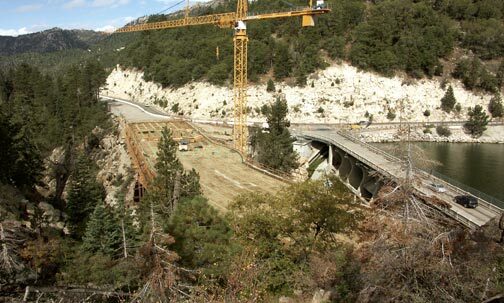 See the page “Bridge Construction – 2009” on the menu at the right for photos of the construction during 2009. 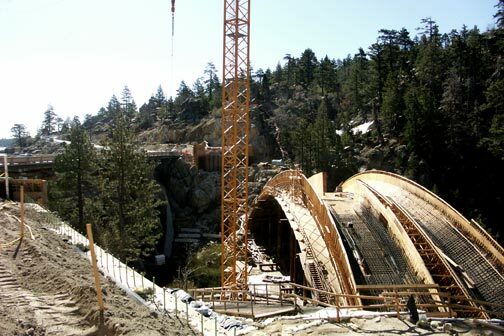 The main support arch for the bridge at the Big Bear Lake dam is now completed, and the forms for the road across the top are nearing completion. 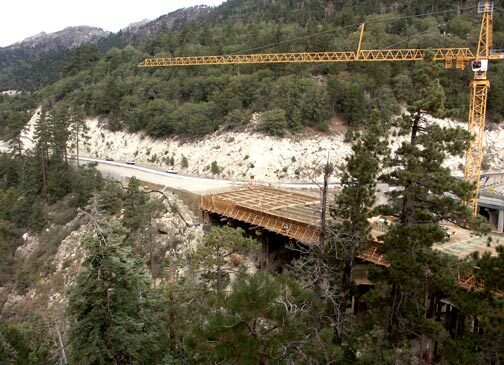 The following photos gives us a glimpse as to what this completed project will eventually look like.